In 2017, a super-liberal field of mayoral candidates split the Democratic-Farmer-Laborer party endorsement with vying platforms that each addressed affordable housing as a top issue. Jacob Frey ultimately leveraged his track record of civil rights advocacy and championing economic development to win the election. Frey took office on January 2, 2018. And in the midst of continued concerns over rental vacancies and Minneapolis’s tent city, Frey’s administration followed through on housing reform by proposing a “radical” rezoning policy as part of the Minneapolis 2040 plan. The policy would allow four-family residential housing in every neighborhood in Minneapolis, unraveling decades of restrictive zoning policy. This high-density, inclusionary policy benefits families by undercutting rising housing costs, fighting urban stratification, and building a city of welcoming, high-density neighborhoods. A nest of exclusionary regulations and limitations on development accrued in Minneapolis over the course of the 20th century. In the early 1900s, Minneapolis’s residential neighborhoods were a mix of single-family homes, duplexes, multi-family homes, and apartments. Subsequent property regulation produced a web of restrictions: racially restrictive covenants were implemented broadly in the 1920s, and regulations promulgated in the 1970s limited much of the city to single-family homes. A 2016 Atlantic article reported that, despite adopting the country’s first city-level Fair Housing ordinance, racial segregation in the city has steadily increased since the 1970s. Today, as Frey points out, Minneapolis is facing an affordable housing crisis, which is indisputably exacerbated by the fact that two-thirds of Minneapolis is zoned exclusively for single-family residences. The rental vacancy rate is 2 percent – the second-lowest in the country, after New York City. The median monthly cost of a one-bedroom apartment in Minneapolis increased by 12 percent between May of 2015 and November of 2018. And although the city continues to build new units, the majority of these are new apartments built by large-scale developers, which are generally more expensive and less comfortable for families. Cities across the country have decried the “missing middle”: the lack of housing options financially and structurally falling between freestanding, single-family homes and apartment buildings. Examples of affordable, “missing middle” housing options include duplexes, triplexes and fourplexes, “courts” of connected housing, townhouses, and multiplexes. Intuitively, these structures provide options on a sliding scale of cost of living and quality of life. In a housing market and economy that is still psychologically and financially affected by the recession, these lower-cost options are steppingstones to homeownership, or simply provide a more comfortable rental arrangement for families. In some cases, relegating affordable housing to limited, poorer districts in cities violates the Fair Housing Act when a claimant can show “disparate impact.” Plaintiffs claiming disparate impact must allege a facially neutral policy, its adverse effect on a protected class, that the policy is arbitrary, and provide facts to link the policy to a specific adverse disparity. Disparate impact was understood as a pro-plaintiff victory by reducing the burden of showing disparate treatment, which required a demonstration of intentionality. However, since the Supreme Court’s 2015 Inclusive Communities case that first described disparate impact under the Fair Housing Act, litigation has struggled to respond, and claims under the Fair Housing Act have only occasionally and unpredictably provided recourse for plaintiffs. Minneapolis has faced disparate impact claims to housing policy. While judicial recourse has stalled post-Inclusive Communities, the fourplex plan would undo decades of relegating multifamily housing to limited neighborhoods and allowing large developers to dominate the affordable housing market. The neighborhood-level diversity which it would support has long been touted by city planners as important to cities’ long-term economic and social vitality. A city-level policy would mark a significant step toward protecting the city from future litigation and providing a greater diversity of affordable housing options throughout the city. Living up to its title of “inclusionary zoning,” the policy has the potential to provide a larger array of housing options for families across Minneapolis. Adam Platt, Jacob Frey and the Minneapolis Mayoral Race, Mpls St. Paul Magazine (Sept. 21, 2017), http://mspmag.com/arts-and-culture/general-interest/inside-the-minneapolis-mayoral-race. Id. (“’I have an East Coast mentality. I’m intense, aggressive, and willing to talk to pretty much anybody,’ Frey says. ‘I love talking to strangers. I will knock on five times as many doors as anyone else running in this race.’”). Adam Belz, Jacob Frey Wins Mayor Election in Minneapolis, Star Tribune (Nov. 9, 2017), http://www.startribune.com/Jacob-frey-wins-mayor-election-in-minneapolis/456171613. See Jessica Lee, ‘The emergency is now visible’: How the Hiawatha homeless encampment came to be. And what Minneapolis officials are trying to do about it., MinnPost (Aug. 27, 2018), https://www.minnpost.com/politics-policy/2018/08/emergency-now-visible-how-hiawatha-homeless-encampment-came-be-and-what-minn (describing the affordable housing crisis and its disparate impact on marginalized communities). Welcome to Minneapolis 2040 – The City’s Draft Comprehensive Plan, Minneapolis 2040, https://minneapolis2040.com (last visited Nov. 9, 2018). Kirsten Delegard and Kevin Ehrman-Solberg, ‘Playground of the People’? Mapping Racial Covenants in Twentieth-century Minneapolis, Open Rivers: Rethinking The Mississippi 6 (Spring 2017), http://editions.lib.umn.edu/openrivers/article/mapping-racial-covenants-in-twentieth-century-minneapolis (newly unearthing racially-restrictive covenants in 5000 of 20,000 properties sampled in Minneapolis, disproportionately in areas adjacent to the “Grand Rounds” and other coveted Minneapolis greenspace). In 1975, the Minneapolis City Council voted to re-zone four south Minneapolis neighborhoods to “prevent the spread of apartment building areas.” Anton Schieffer, Naturally Occurring Affordable Housing Shortage Rooted in Downzoning of 1970s, StreetsMN (June 30, 2017), https://streets.mn/2017/06/30/naturally-occurring-affordable-housing-shortage-rooted-in-downzoning-of-1970s. Alana Semuels, Segregation in Paradise, Atlantic (July 12, 2016), https://www.theatlantic.com/business/archive/2016/07/twin-cities-segregation/490970. Jacob Frey, Our Priorities for Minneapolis, City of Minneapolis, http://www.ci.minneapolis.mn.us/mayor (last updated Feb. 8, 2018). Kim Palmer, Fourplexes Are a Debated Housing Model, But These Minneapolis Residents Love Them, Star Tribune, Sept. 17, 2018, http://www.startribune.com/many-minneapolis-residents-spoke-out-against-fourplexes-but-people-who-live-in-them-really-like-them/493327141. For a map of Minneapolis by zoning district, see Alan Palazzolo, How Minneapolis Is Zoned, MinnPost, Feb. 3, 2015, https://www.minnpost.com/data/2015/02/how-minneapolis-zoned. See also @Jacob_Frey, Twitter (May 24, 2018, 10:35 AM), https://twitter.com/Jacob_Frey/status/999705468498046976 (“Right now, as much as two-thirds of our city is still zoned exclusively for single family homes and restricted further for the wealthy by lot size.”). John Edwards, Fourplexes Everywhere? Bold Reform Proposed in Minneapolis, Streets.MN (March 14, 2018), https://streets.mn/2018/03/14/fourplexes-everywhere-bold-reform-proposed-in-minneapolis. Minneapolis, MN Rental Market Trends, RentCafé (November, 2018), https://www.rentcafe.com/average-rent-market-trends/us/mn/minneapolis. Jim Buchta, Apartment Construction Has Been Booming in the Twin Cities, But Is About to Boom Even More, Star Tribune (Mar. 18, 2018), http://www.startribune.com/apartment-construction-has-been-booming-in-the-twin-cities-but-is-about-to-boom-even-more/477181473. For an opinion on the economic incentives behind the construction of luxury housing, see also Daniel Herriges, “Why Are Developers Only Building Luxury Housing?”, Strong Towns (July 25, 2018), https://www.strongtowns.org/journal/2018/7/25/why-are-developers-only-building-luxury-housing (mentioning Minneapolis’s fourplex policy as “promising”). Benjamin Schneider, Minneapolis YIMBYs Go to the Mat for Zoning Changes, CityLab (Mar. 16, 2018), https://www.citylab.com/life/2018/03/yimbyism-explained-by-pro-wrestling/555740. For a playful demonstration of the excitement, positive and negative, surrounding the proposal, see, e.g., Wedge LIVE!, Fourplex City, YouTube (Mar. 8, 2018), https://www.youtube.com/watch?v=kvA_DtvW4u0&feature=youtu.be. John Edwards, Terror in Ward 13: “I’m So Upset I’m Shaking,” The Wedge Times-Picagune (October 25, 2018), https://wedgelive.com/2018/10/terror-in-ward-13-im-so-upset-im-shaking.html. See also Wedge LIVE!, It’s Always Single-Family in the Twin Cities, YouTube (Apr. 30, 2018), https://www.youtube.com/watch?v=Kd1gX9z5hio, for Wedge LIVE!’s argumentum ad hominem directed against concerned citizens at a neighborhood meeting. Mark Obrinsky and Debra Stein, Overcoming Opposition to Multifamily Housing, Harv. U.: Joint Ctr. for Housing Stud. (Mar. 2007), www.jchs.harvard.edu/sites/default/files/rr07-14_obrinsky_stein.pdf. John Edwards, Terror in Ward 13: “I’m So Upset I’m Shaking,” The Wedge Times-Picagune (October 25, 2018), https://wedgelive.com/2018/10/terror-in-ward-13-im-so-upset-im-shaking.html. Katherine Shaver, Cities Turn to ‘Missing Middle’ Housing to Keep Older Millennials from Leaving, Wash. Post (Dec. 9, 2017), https://www.washingtonpost.com/local/trafficandcommuting/cities-turn-to-missing-middle-housing-to-keep-older-millennials-from-leaving/2017/12/09/3a129bc8-d54a-11e7-95bf-df7c19270879_story.html. Texas Department of Housing and Community Affairs v. Inclusive Communities Project, Inc., 1135 S. Ct. 2507 (2015) (confusing subsequent disparate impact claims under the Fair Housing Act with a requirement for “robust” causality linking a challenged, neutral housing policy and the adverse disparity claimed). 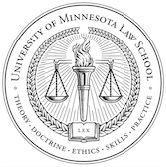 Lauren Clatch, Inclusive Communities and the Question of Impact: Pro-Plaintiff, Minnesota Law Review: De Novo (Dec. 8, 2016), http://www.minnesotalawreview.org/2016/12/inclusive-communities-and-the-question-of-impact/#post-2242. See, e.g., Ellis v. City of Minneapolis, 860 F.3d 1106 (8th Cir. 2017) (dismissing a claim by for-profit providers of low-income rental housing, alleging that city’s heightened enforcement of housing and rental standards had a disparate impact on the availability of housing for individuals protected under the Fair Housing Act). Jane Jacobs, The Death and Life of Great American Cities (1961). See also Eric Jaffe, Jane Jacobs Was Right: Gradual Redevelopment Does Promote Community, CityLab (Mar. 8, 2013), https://www.citylab.com/equity/2013/03/jane-jacobs-was-right-gradual-redevelopment-does-promote-community/4917. Next Post - Next post: ARE ALL DEFENDANTS “DEFENDANTS”? IS A GOOGLE SERVER A “PLACE” FOR PURPOSES OF PATENT VENUE?